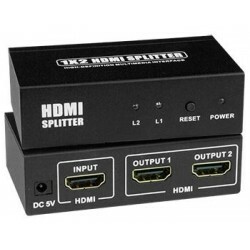 The HDMI 1.2 splitter enables two HDMI displays to be driven by a single HDMI source. The same crystal clear image is displayed on all monitors simultaneously. 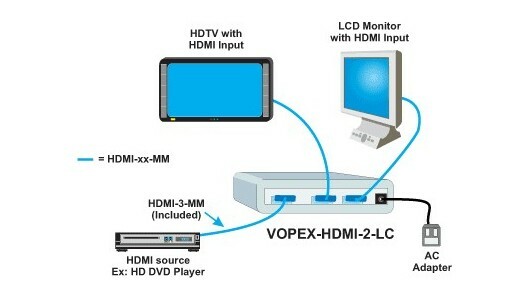 Connect two HDMI displays to a single HDMI source such as a DVD player, game console, HD set-top box etc. 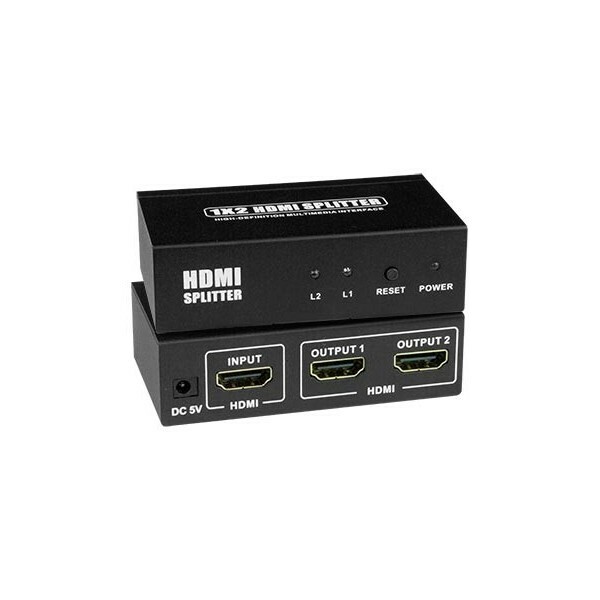 Supports VGA (640x480), SVGA (800x600), XGA (1024x768), SXGA (1280x1024), UXGA (1600x1200) and 1920x1080 resolutions.